First of all, I’d like to thank the 160+ that took the time to read and the many shares of “Where’s The Apology” since I published it last Saturday. I’m humbled that my rant connected with so many of you. If you’ve not had the chance to look at it, I would appreciate you reading it, sharing it and letting Drake and J Cole know that using the word autistic in such a derogatory way is akin to hate speech and not acceptable. All that to say, the post I originally wanted to post last Saturday didn’t quite get the attention – I don’t think – it deserved. It’s about the Memphis Farmers Market and that facility truly merits your time and attention, even if my post doesn’t do it justice. I have found a new addiction. It’s a place I’ve been to twice and plan to go to no less than once a month – at least until they close in October. It’s the Memphis Farmers Market located at Central Station, S. Front Street at GE Patterson in the Historic South Main District, Downtown Memphis. 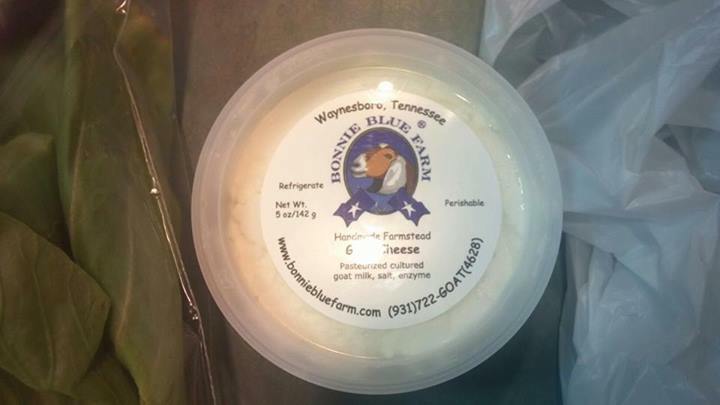 The Memphis Farmers Market is a wonderful place to find loads of really great, locally grown, food and flowers and locally made artisan products. 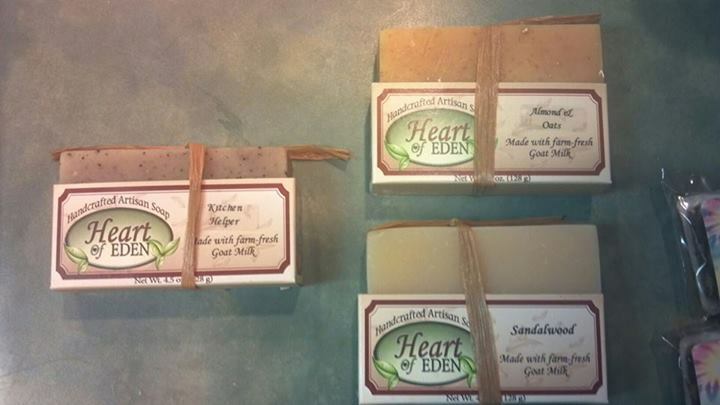 They have just about everything from tomatoes and green beans, to metal art, goat milk soaps and mushroom teas. On my most recent excursion, I came home with some wonderful cherry tomatoes, seriously good granola, goat cheese, pesto and even more. I even found multiple species of fig trees, one of which I may come home with my next time there. The atmosphere is wonderful! Everything is so laid back, even though it’s crowded. People are shopping the stalls, or eating at one of the food trucks or even just sitting on one of the benches listening to live music and just people watching. All the vendors I have talked to have been very friendly and informative, especially on items they sell I would have no idea how to use. And part of that is not only providing space for vendors to sell their wares; but, they also have cooking demonstrations on how to use the food sold there, Farm to Fork Dinner Tours, and Harvesting Good Health events. Today, L’Ecole Culinaire is having a cooking demonstration, Dogs 2nd Chance is going to be there with dogs available for adoption near the pet sitting area and three different local artists will be playing. And who knows, if you go by the right booth, you might meet a local news celebrity serving coffee. He served me mine and was super nice! That was last week, TODAY master gardeners will be answering question from 7:30-11:30. I may have to ask them about getting some reaised beds started in my back yard. WellWorx is sponsoring a “Cardio Boom” class led by Eric Cook, Street Dog Foundation is holding the pet adoptions, and there will be music from Rob Halford (not this one), Shelley Brown and Yancy and the Good’uns. But if you still stop by the right booth, you might meet a very nice local news celebrity! I really enjoy farmers’ markets and plan to find more. I’ve been to the one in Hernando, MS and where I live has one in the court house square Friday afternoons. More on them soon as I re-familiarize myself with them. What’s the best thing you’ve picked up at a farmers’ market? I’d like to know so I can find new things to try. Recently, I had the distinct pleasure of seeing one of the best Christian singer-songwriters I have ever had the pleasure of hearing live – Andrew Peterson. His music rivals my other favorite, Rich Mullins, for its depth of meaning and beauty of language. Even the circumstances of this most recent concert were fun and cool at the same time. The concert was originally scheduled to be at the Levitt Shell in Overton Park. Then, because of weather, the venue changed to the sponsoring church. At Levitt Shell, there is plenty of space for people to bring their picnics and lawn chairs to listen to whomever is playing on stage. So, even though the concert moved into a ballroom looking fellowship hall, everyone still brought their blankets and picnics to watch Andrew Peterson. Danger Boy and I were front and center for the concert and laughed when Andrew Peterson said the this the strangest concert he had ever performed in his career. What did it feel like those two nights between Friday and Sunday? I know what happens when we, as humans, die. But how long was Jesus forsaken by God? Was he without his presence the whole weekend? Or was he in the presence of God immediately after death? I know creeds that say he was in hell. But was he really? What did it feel like when it was time for him to go back into his earthly body, even if it was for only 40 days. Excitement? Dread? Relief? When he did open his eyes, how long did he have to wait before the women showed up? Was he thinking of ways to reveal himself? Not in a practical joke or silly way, but in a way that would send them running back to the Apostles. I know the details of his resurrection aren’t important, just something to stretch my mind, because they aren’t enumerated in the Bible. What matters is that he did come back to be the first-born of the dead and be the resurrection and the life for all who choose to believe. Sorry to be late with this post, hopefully faithful readers. I have been in a rush since mid March and am just now coming up for some air. I’ve been working with our school’s spring fundraiser, two field trips in two days, my birthday and Easter weekend with Friday and Monday out of school – not to mention the usual craziness that comes with school winding down. I guess I’m through whining so I’ll get to the post. Danger Boy, Ninja Cat and I took a trip to Oxford for the Region VII Science and Engineering Fair recently. They took their projects that I wrote about in Of Bridges and Craters. 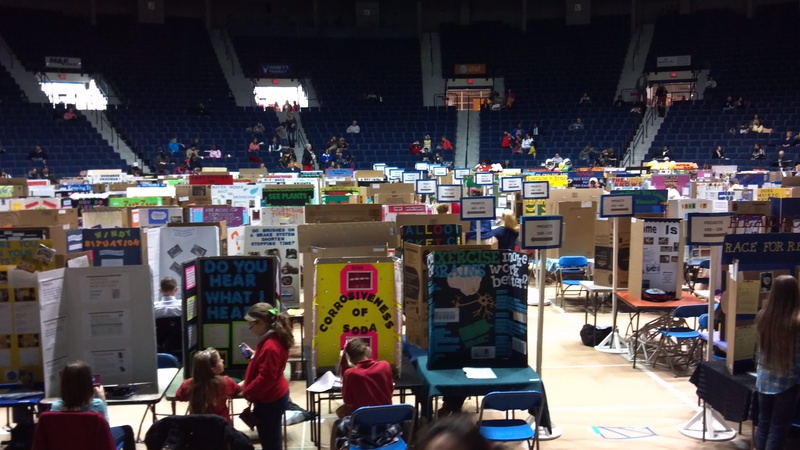 Both had won first place in their respective categories at school and they were excited to represent their school against the 500+ entries that also decided to show up at Tad Smith Coliseum that day. We really had a good time. We talked off and on about what was expected of them, what the judges were likely going to ask and how to act/react when the decisions came down. So when we got there, found their gifted Gifted class teacher and their spots, they were as well prepared as they could be for whatever happened. Last year, I was allowed to sit with Ninja Cat as his ‘aide’ of sorts because of his high functioning Autism. But this year, we decided that we should let him sit there on his own. After all, he’s grown by a whole year and he, along with the 500+, had an electronic device to keep him occupied until the judge came to see his project. But we were close to the floor just in case anything did go wrong and he needed someone. Next was just to sit and wait for two and a half hours while all the projects were judged by not one but two judges. Ninja Cat said three came by to see him. After that was a long lunch break. So, we decide to go to the main cafeteria on campus. We talked about what college is and an overview of how it works. Danger Boy was wondering how he would get from our house to Ole Miss and back every day. (It’s just over an hour drive.) Then I told him that you live on campus in that situation. That took him by surprise.Then he decided he wants to go to Ole Miss for college, so I can come visit him on weekends as he put it. We get back to see if any of our students were in the running for the overall medals. Unfortunately they are not; but, that gives us time to enjoy the student/adult version of Family Feud. They did a survey of 100 children that were participating in the fair for the questions and did multiple rounds for lots of people to have a chance to play and for the judges to get a chance to judge the projects up for the overall awards. Danger Boy really wanted us to do it; and, gratefully we were picked. We decided to sit in the same chair on or respective sides so we could go against each other. Our question was “Name an animal that flies.” He beat me on the buzz in; but, I beat him on the answer. Long story short (I know, too late. ), we both were surprised that dragon was the number one answer. After the Family Feud, they were ready to announce the winners. 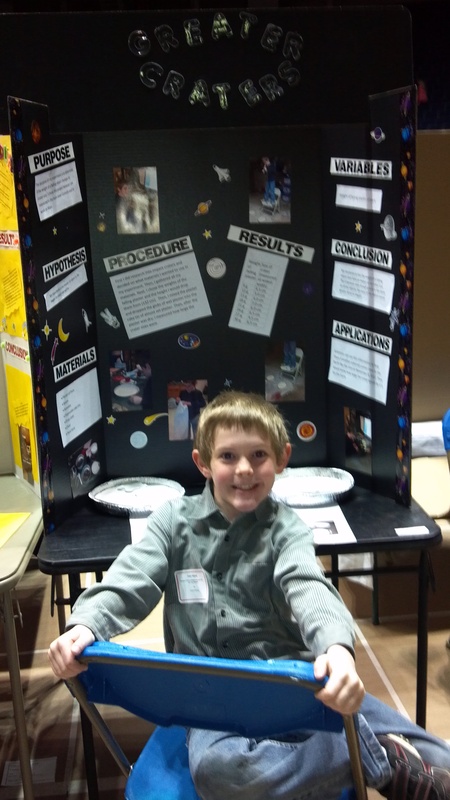 Again long story short, Ninja Cat won 4th place for his project on bridge design and Danger Boy missed the ribbons. Neither child was happy with his result. That’s when the consoling started by not just me but his amazingly gifted Gifted class teacher. However, neither child was consolable right then. So we left right after their lower grade division was complete citing over-stimulation for Ninja Cat. It took until the next day for them to be able to come to terms with their results. Ninja Cat did say the next morning he had fun doing the science fair and already has ideas in his head on how to improve for next year. Danger Boy is still in the planning stages. But that’s 10 months away, which doesn’t even place it on my radar. I let them plan anyway. It’ll be good for them to learn forethought. 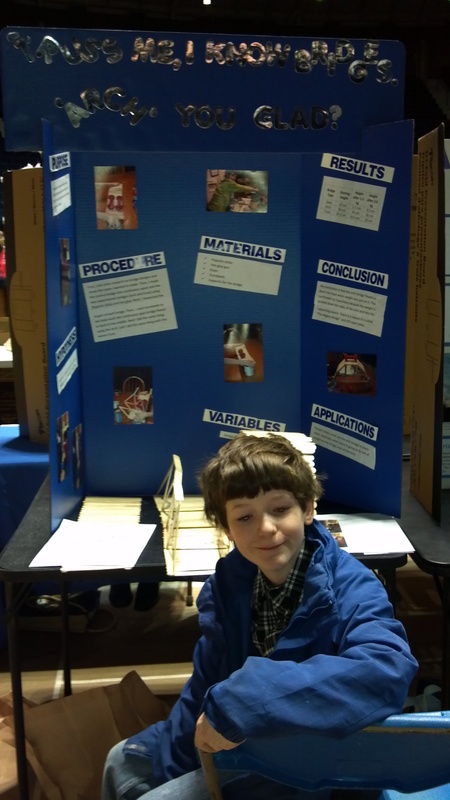 What are some science fair projects you have done/seen in the past that blew you away? I’ll pas them along to Danger Boy and Ninja Cat. Yes, this past week was Spring Break here in the Loft – nine days (counting the two weekends) of no school and getting ready for the final push to the end of the year. I had been waiting for this week to come almost since Martin Luther King Jr. holiday in January. Heck, I’d been waiting since Presidents’ Day in February. We didn’t have that day off as planned because we had to make up our one snow day so far this year. We all needed the break; and we have taken full advantage. The way I ‘do’ Spring Break is similar to the way I ‘do’ summer break. We have a theme to each day of the week, which I got from Pinterest and both Ninja Cat and Danger Boy like knowing what to expect each day. We have Make Something Monday, Time to Read Tuesday, What’s Cooking Wednesday, Thoughtful Thursday and Something Fun Friday. Most of our days started out like a Saturday, me in bed until all of 7:45 with Danger Boy up and taking Bucky out for his morning duties. Ninja Cat wasn’t usually too far behind and then we had breakfast. We all would tinker on electronics until 9 or 9:30 then they dressed and brushed while I got some house work started (laundry or dishes). They would join me for a bit then it was time to get on with the theme of the day. Monday we went to the Games Workshop Bunker close to us. Yes, we are a geeky family and we are getting our boys into painting figurines. We had dropped by there a week before after Ninja Cat’s best friend’s birthday party at Sky Zone and they really seemed to enjoy themselves, so I thought why not expose them to a little hands on time. So, we proceeded to carry an old box on unpainted figures, some paint that I had to bring back from near desiccation and a few brushes. James, the manager there is amazing! He was so good with both boys and handling the couple of customers that came in while we were there. He let them sit at a table while he demonstrated several techniques of painting. They sat, enraptured. For Time to Read Tuesday, we spent some time at the library (duh!) after a very enjoyable lunch with Hubby at Five Guys Burgers and Fries. Ninja Cat is currently obsessed with Big Nate books, so he picked out two of those and nearly finished one while Danger Boy and I picked out Geronimo Stilton, comic books and even The Adventures of Tom Sawyer for him to read. Then once we got home, and after a little more house work, we spent some time reading until it was time to get dinner ready. What’s Cooking Wednesday found us making a picnic lunch and taking it to a park near my best friend ‘Eeyore’. She, her little village, and we all needed some time outside. So the four of us (yes, we took Bucky) got our Vitamin D the natural way that day. Thursday was probably our busiest day. It’s usually Thoughtful Thursday, where we do something nice for someone else whether we know them or not. But, this Thursday brought about quite a few Scout oriented things. We went to a local radio station and toured how the voices get from the booths to our car and met some really nice people. Ninja Cat and Danger Boy were … enthusiastic. They especially liked the snack machine. That’s three dollars I’ll never get back. But it was worth it to me for them to have such a great time there. We talked about what they learned on the way home, changed clothes and went to Panera Bread for a nice lunch and some time for them to play chess. We sampled things off their new menu (tortellini alfredo and penne Bolognese), both of which were very good. Lastly, we made sure to write our thank you notes to our host at Clear Channel. It was Thoughtful Thursday after all. My boys always like Fridays. It’s Something Fun Friday. We went to Shelby Farms Park (yes, we took Bucky) with the same friend we met Wednesday. But this time was a little different. On the way, Ninja Cat got sick, yeah physically sick. I was in the process of turning around until he said getting sick made him feel better and he still wanted to go. So we went. So we ate (except for Ninja Cat). So we blew bubbles. So we sat in the grass and drew what we saw around us. So we went home and I let them gorge on video games until Hubby came home early. His boss was amazing and let him go home at 3:00 with the edict “It’s too pretty outside to work.” I love his new job. I want ideas for this summer or even next Spring Break. What did you do/are you going to do for Spring Break this year? My Christian Life – The most important thing in my life. So I’ll post things I am learning and observations I make about it. My family – We function and we have a great time doing it. So you will hear about our endeavors and misadventures, I’ll also write about children’s education, nutrition, literacy. Not from any educated mindset mind you. Just from a mom’s perspective. Autism – Ninja Cat is a high functioning autistic, so I’ll be posting things I learn from him and re-post things I read from trusted sources. Geekdom – Yes, we are a family of geeks. We trend toward gaming (video and board games) and medieval things. But we also have room for Star Wars and Legos and science and … you get the picture. Cooking – I enjoy cooking. It’s almost therapeutic. I’m trying to teach myself to cook healthier and lose 30 pounds. I also plan to do some cookbook reviews from time to time. General thoughts on life – There may be a current event that strikes me to write about. Who knows. So that’s just a little about me and my world. What’s going on in yours? I’d love to get to know my readers. Leave me a comment below, k?